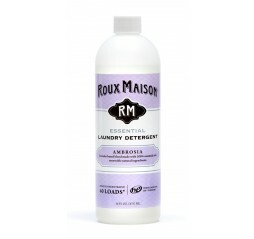 Roux Maison laundry detergent is some very potent stuff! I received 4-1oz bottles to test, at first I thought it was not even enough to do a load of laundry but turns out each bottle can do 2 loads, or 4 if you hand wash your clothes. The first I tried was Sweet Tea which is a citrus blend made with 100% essential oils, it was a really strong smell of lemon I poured half the bottle in and washed my clothes. Being a sceptic I really didn't think it would wash my clothes let alone leave them smelling good. I was so wrong!! They came out great looking and smelled really good the smell was not overwelming but that of a light lemon smell to it. The second I tried was the Scent Free which it was just that its exceptionally pure with no masking ingredients , I got 2 of these to try probably cause not all people love scents to their clothes. I was happy with the results the clothes came out looking clean and fresh although no scent it still had a little sweet smell to it. Finally the last one which was the Ambrosia which is lavender-based blend made with 100% essential oils this is the one I was looking forward to most because I love lavender. So I used it like the rest and sure enough great smelling lavender scent clothing it was great! I am super shocked on how much power the little 1oz bottles had, and the scents are great! 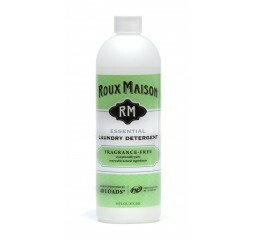 Try out Roux Maison for your laundry needs you will not be disappointed. 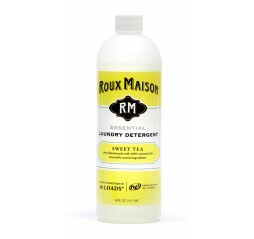 Roux Maison also carries stain remover, and other types of detergent like delicate, sports, and swimwear!